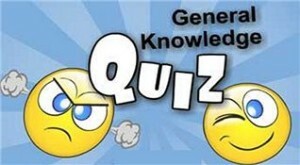 Did you miss the BRSC General Knowledge Quiz on Tuesday 24th November 2016? Over the Festive Season the 10 Rounds from that quiz set by Phil Draper will be posted on here. If you enjoy doing these questions why not join us for the next quiz in February 2017. The Answers to Round Three and Round Four Questions will be found on the website in 24 hours time. (1). At which ski resort would you see the Cresta Run? (2). What is the record number of goals scored in a single Football League match? (3). What was boxer Barry McGuigan’s weight division? (4). Which comedian supports Charlton Athletic despite having been a director of AFC Bournemouth? (6). Which team was the first to score a ‘Golden Goal’ in the soccer World Cup Finals? (7). Which tennis player was stabbed by a Steffi Graf fan while playing in Hamburg 1993? (8). Which club plays at the Bet 365 Stadium? (9). By what name was world champion boxer Walker Smith better known? (10). Which player has played for Plymouth, Chesterfield, Hartlepool, Stevenage, Bristol Rovers and Sunderland? Who was the Goddess of beauty, love, desire, and pleasure? Artemis, goddess of the hunt, had a twin brother. Who was he?? How was the underworld of the dead known? The Romans called him Mercury, what did the Greeks call him? Who had venomous snakes instead of hair? Who went into the underworld to rescue Eurydice? Where was the home of the gods? 10.What was the name of the winged white horse sired by Poseidon?